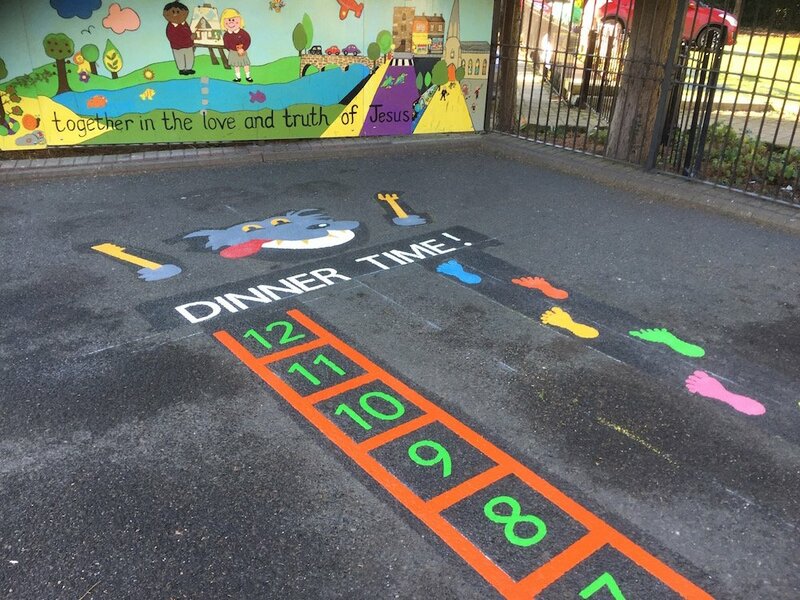 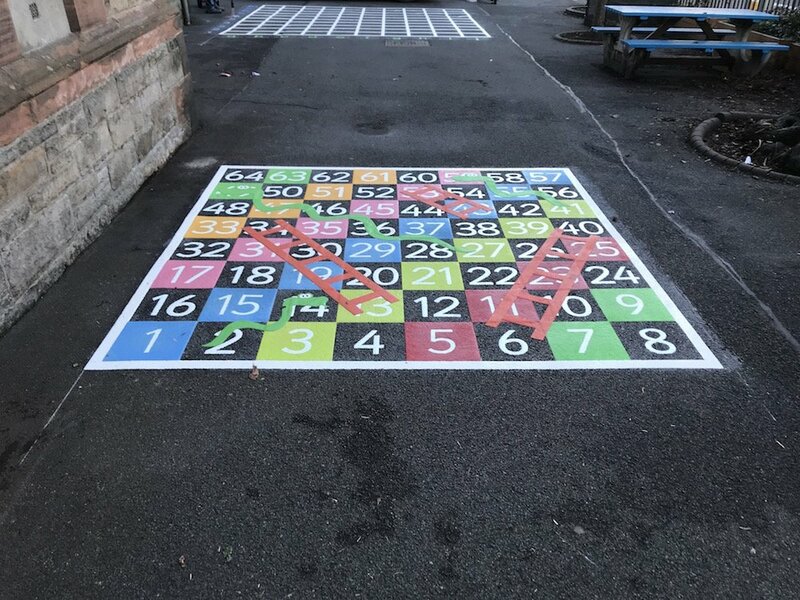 Our installation team travelled to South Morningside Primary School in Edinburgh to install this bright new range of playground markings. 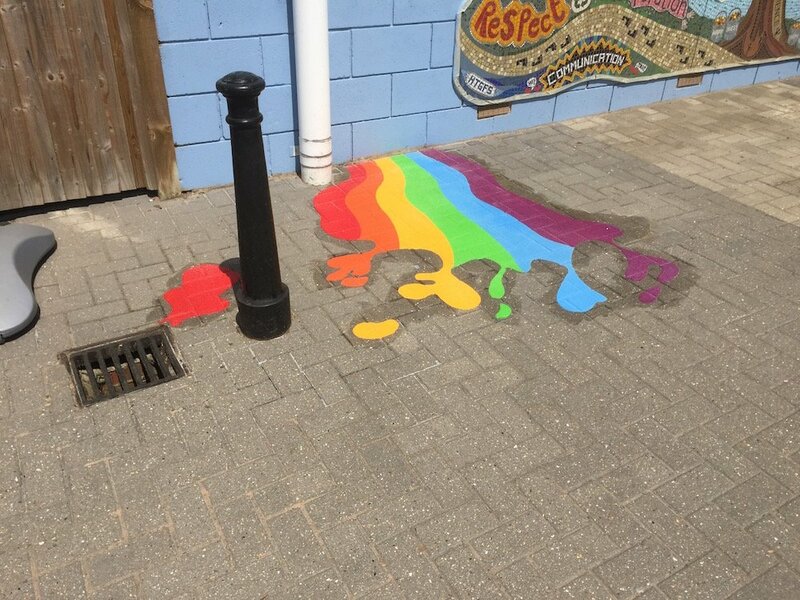 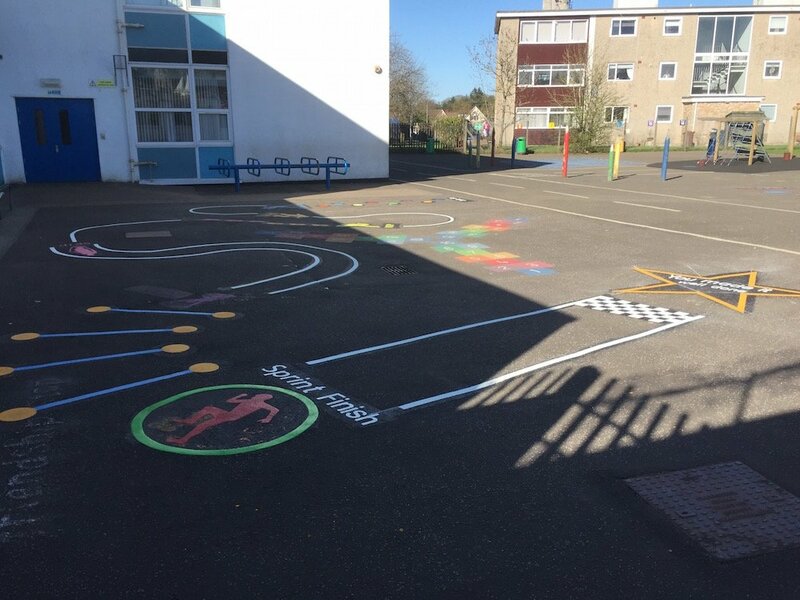 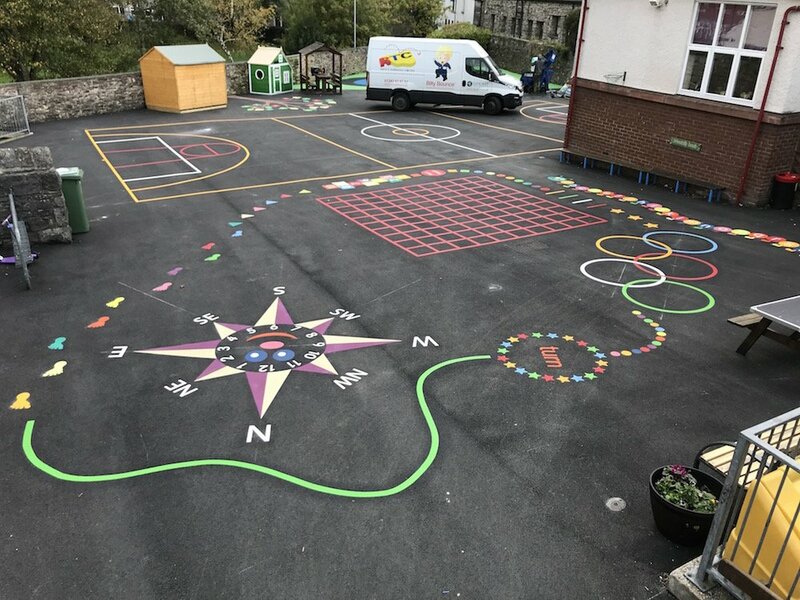 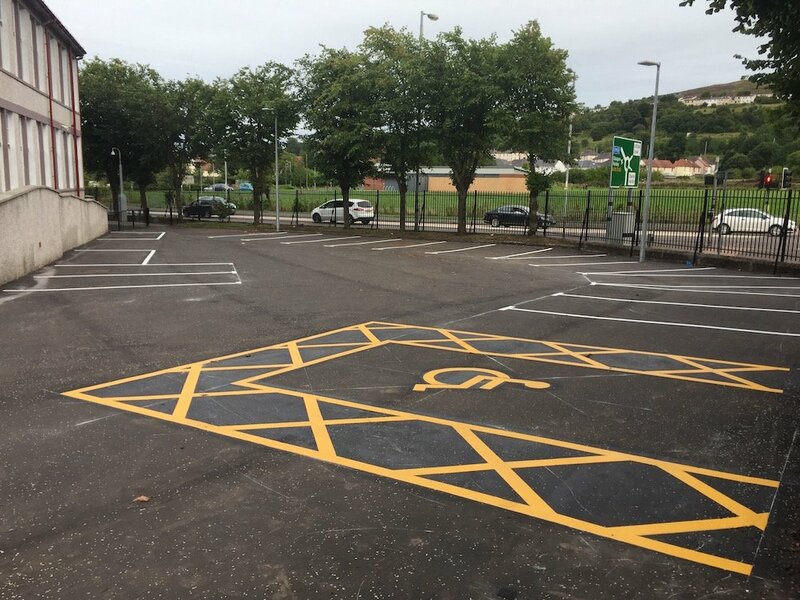 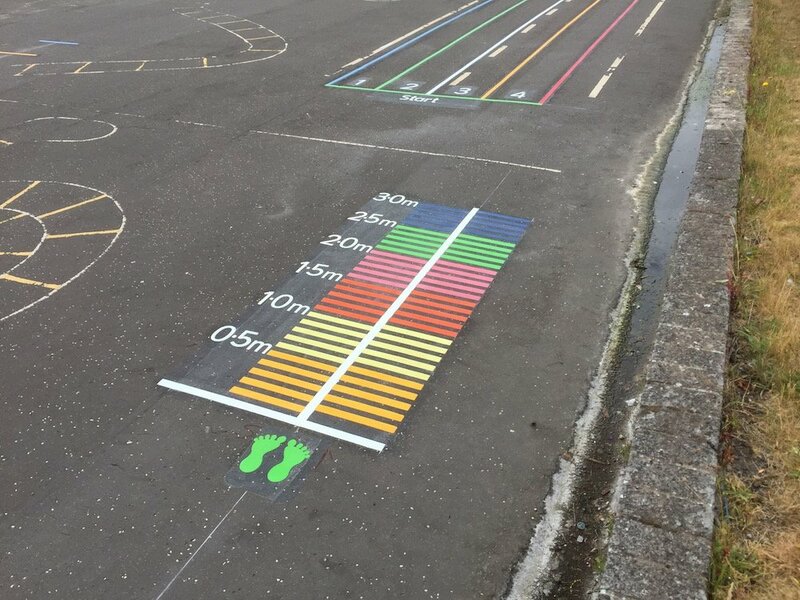 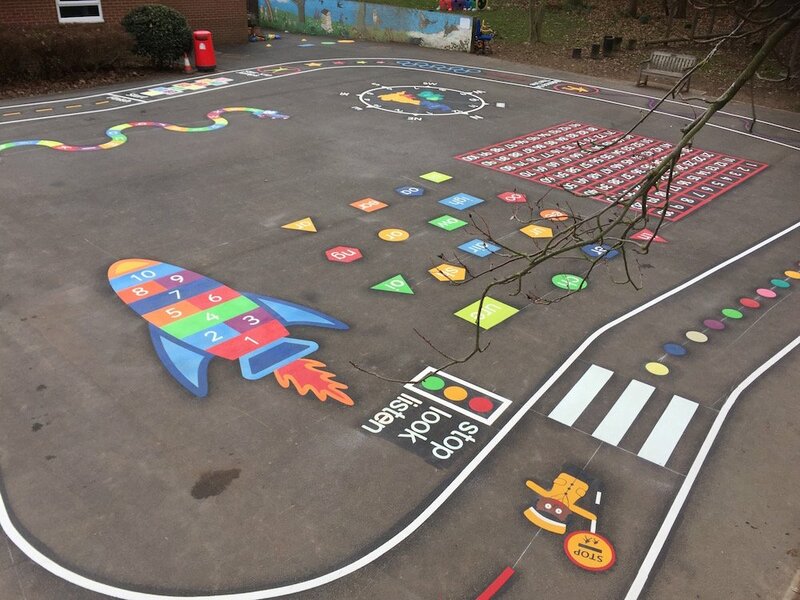 Our installation team travelled North from our office in Gateshead to Edinburgh to install this bright new range of playground markings for Morningside Primary School. 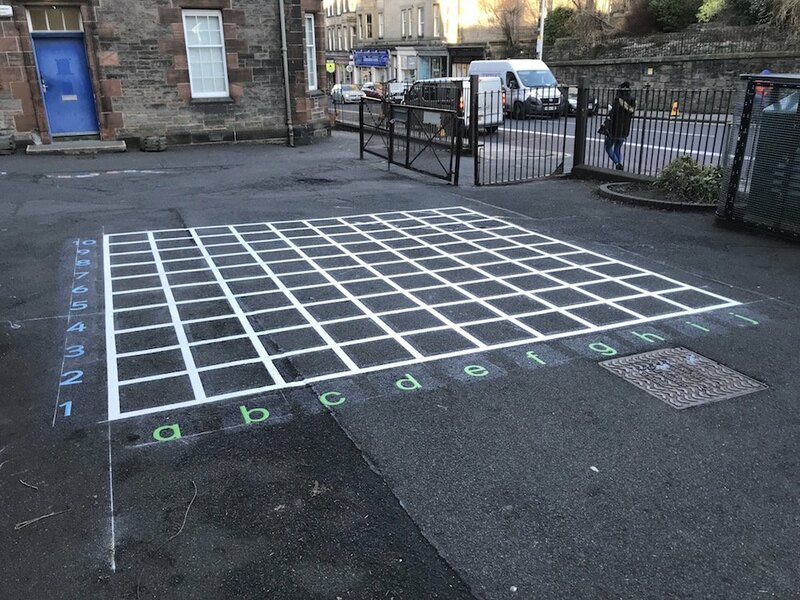 These markings consisted of a What’s the time Mr Wolf, a Co-ordinate Grid, and a 1-64 Snakes and Ladders. 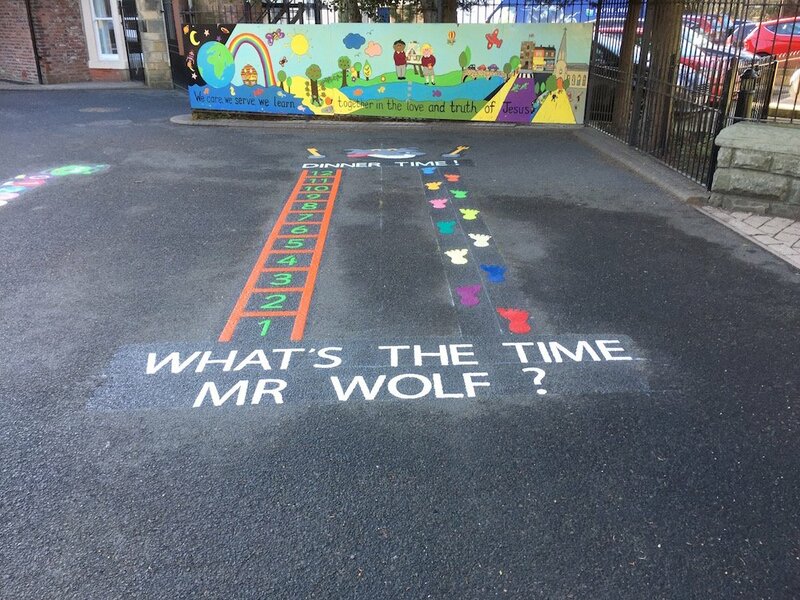 Firstly, the team installed this What’s the Time Mr Wolf. 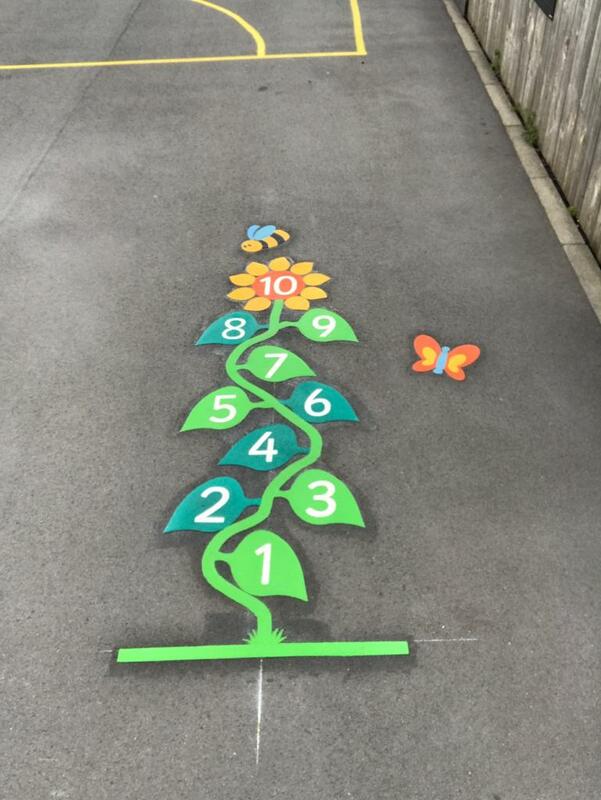 Next, the team installed this 1-64 Snakes and Ladders. 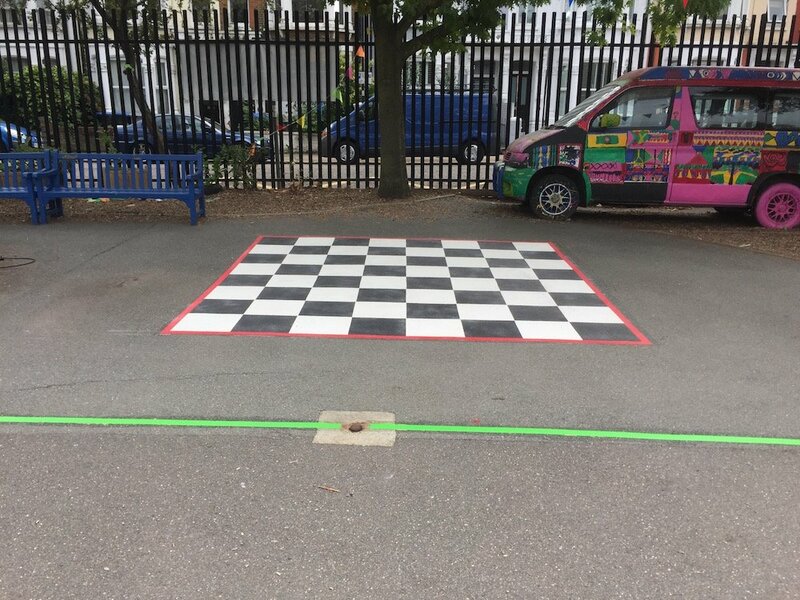 Lastly, the team installed this Coordinate Grid.